Christopher Wheeldon’s new ballet, The Winter’s Tale, will have its world premiere on Thursday 10 April, and to mark the occasion we are planning a very special event. 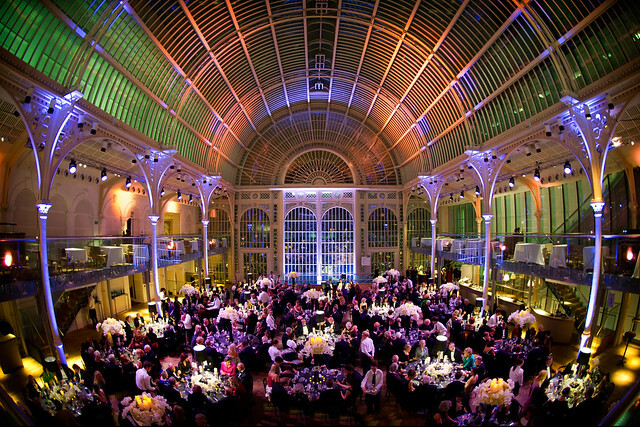 We would like to invite audience members to join the cast, members of the artistic team and the Royal Opera House directors for a unique post-performance dinner in the Paul Hamlyn Hall. All proceeds from the evening’s performance and dinner will benefit the Royal Opera House Foundation, the registered charity that supports every aspect of the Royal Opera House’s work – its achievements onstage, development for talented emerging artists and craftspeople, and extensive learning and participation programmes. Fundraising plays a vital part in allowing us to stage ballet and opera and also enables the creation of new works such as The Winter’s Tale. Find out more about supporting the Royal Opera House. Request your special event tickets via this form. The Winter’s Tale runs from 10 April-8 May 2014. Standard tickets are still available. The Winter's Tale is staged with generous philanthropic support from the Monument Trust, Mrs Susan A Olde OBE, Celia Blakey, Sarah and Lloyd Dorfman, Sir Simon and Lady Robertson, The Taylor Family Foundation, the Metherell Family, Mr and Mrs Edward Atkin CBE, Lady Ashcroft, Richard and Delia Baker, John and Susan Burns, Kenneth and Susan Green, David Hancock, Randa Khoury, Lindsay and Sarah Tomlinson, Doug and Ceri King, Sir Roger and Lady Carr, Gail and Gerald Ronson through The Gerald Ronson Foundation, Victoria Sharp, The Winter’s Tale Production Syndicate and an anonymous donor.